Jute Gyte is the solo project of Adam Kalmbach, who works in the traditions of both hermetic weirdo black metal and experimental electronics, while drawing on the microtonal harmonies and intricate rhythms of modern academic composition. In the June installation of the eternally recurring Columnus Metallicus, I praised his latest release, Perdurance, for its combination of inhuman abrasion and strangely exuberant groove. In my review, I struggled to wrap my head around the music but I was equally intrigued by the thoughtful lyrics and obsessively detailed online liner notes. The latter don't so much 'explain' the music as open it up, putting it in conversation with a vast web of philosophical and aesthetic reference points that span from the early 19th century to the present day. Jute Gyte is less a musical project in the narrow sense than an ongoing process of thought, for which the music is simply a focal point. Since 2006, Kalmbach has released a staggering total of twenty-five full-length albums under the aegis of Jute Gyte. It's hard to believe anyone could be so prolific without churning out loads of filler, and yet each release stands on its own, and stands out for its depth of concep and obsessively detailed execution. Kalmbach makes this possible through an ascetic drive to pare away anything that might interfere with his highest purpose – writing new music. He frees up time for composition and recording by choosing to work part-time and refusing to play his songs live. 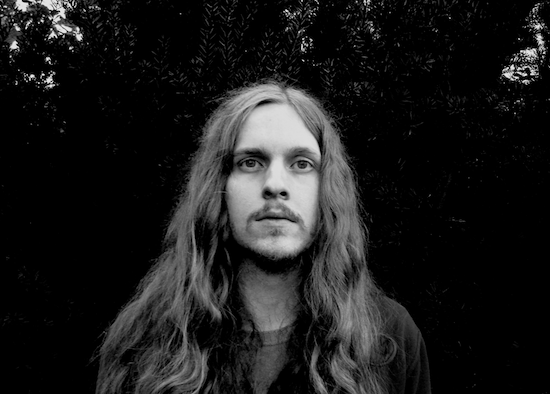 After some early experiments, he released his first black metal album, 2008's Old Ways, but rapidly abandoned its crumbling walls of distortion for the stark beauty of Verstiegenheit three years later. On Discontinuities (2013), Kalmbach began playing a guitar customised with a microtonal fretboard, allowing him to write in intervals smaller than the half steps of traditional Western harmony, and so to work with a level of harmonic control unparalleled in metal. This formed the starting point for a conceptually unified trilogy of releases culminating in the punishing Ressentiment. All the while, Kalmbach was also writing ambient, noise, drone, and IDM as Jute Gyte. The title of his most recent work in this vein, Dialectics, references the productive interaction between the metallic and electronic aspects of his oeuvre, and suggests the possibility of bringing those two sides together. With last year’s Ship of Theseus and this year’s Perdurance, Kalmbach is two-thirds of the way through a new trilogy that realizes this dialectical potential. Laced with noises and samples, strongly influenced by the fractured rhythms and morphing textures of IDM, Perdurance is a strange kind of industrial black metal, a fitting vessel for Jute Gyte’s implacably impersonal vision of human destiny. Three weeks ago I spoke to Kalmbach about his compositional process and his distinctive world view, which arises from the same root as black metal – the Romantic movement of 19th-century Europe – but rejects the emphasis on individual freedom that many strains of black metal inherit from Romanticism and, via Romanticism, from Christianity. You obviously have some sort of intense music theory training and an interest in classical music and the modernist avant-garde, so I'd be interested to hear exactly what your background in that is. I started playing guitar as a teenager. I don't think of myself as much of a musician, as an instrumentalist. I really don't like practising. I learn how to play my own stuff long enough to record it, then I promptly forget it. I'm really a pretty bad guitarist, in most terms. I just need to record the stuff well enough that I can manipulate it in the studio and assemble tracks from it. Would you say the studio production process, more than the guitar playing, is where the art really happens, for you? AK: It's where the enjoyment happens, for me. I get really immersed in the process of assembling a track, trying out the different possibilities inside the workstation, in a way that I cannot become immersed while playing an instrument. I find recording impossibly tedious. So yeah, the riffs are obviously important, but what is enjoyable for me, and what is probably the reason my music has so much going on at once, is the studio work – assembling things. Interesting! If anything feels immersive and visceral, for me, it's playing music. And I'm pretty sure that's how it is for a lot of Real Musicians, too. But I take it you feel a kind of distance from the instrument itself? AK: Yes. I don't get into any sort of flow state while playing an instrument. But I do in the editing process, which is more like a structuring process. I've always worked digitally. I never mic'ed the guitar amp. Even on Old Ways, my first black metal album, I'm plugged into a guitar pedal but it's still going straight into the computer. There's no amplifier anywhere in my work. And I think that's useful because it lets you have the raw, unaffected guitar track that you can then manipulate however you want. I wouldn't have as easy a time getting all the sound I can get if the raw recording was mic'ed, distorted, amp, guitar. That way of working on sound as sound, as a kind of raw material, reminds me of the early industrial people. AK: Yeah, I came to metal through industrial, at first. I got into industrial in the mid-'90s, when it was more popular. Through a band like Nine Inch Nails you'd get into Coil, Foetus, Pig, Throbbing Gristle, things like that. That was important in how I ended up thinking about sound, in terms of treating audio like a thing you collage together, instead of thinking of music as something you record one part at a time, from beginning to end, until you've got a song. But I got into metal because when I was in fourth grade the Mortal Kombat movie came out and there was a Napalm Death song on the soundtrack. I'd never heard anything like it, it amazed me. So I got into death metal. And somewhere along the line, I encountered black metal. So, alongside industrial collage, were you influenced by the Ukrainian or Russian black metal sounds? I'm thinking especially of your early records, such as Verstiegenheit and Ressentiment. AK: I can't even think of any specific bands at this point… You mean stuff like Drudkh? The band I like most from that scene is Hate Forest. And I was listening to Hate Forest at the time. I don't know if Verstiegenheit ended up sounding much like that. But having those big lush harmonies, Romantic harmony, was important to me at that time. And for the next two albums, with the landscape covers. Eventually I hit the limits of what I could do with that kind of music, and had to move on. From that Romantic, melodic aesthetic, you moved towards an aesthetic of outright ugliness, especially on your most recent records. Ship Of Theseus may be even more difficult than Perdurance, because Perdurance has these eccentric hooks to it, whereas Ship… is totally abrasive. It seems deliberately alienating, like Schoenberg or something. Does this shift in sound relate to a shift in concept? AK: That's a good question. I'll try to answer this in part. I understand how newer stuff I've done sounds ugly to people, but it doesn't sound ugly to me. Or, it doesn't sound exclusively ugly. I hear ugly parts, or pretty parts, or lush parts. I still use a lot of those lush chords. It's just a different kind of language. If you're looking at it from outside, if you haven't internalised that language, then you're going to hear a lot of things that sound like 'wrong' notes, notes that are right next door to the 'correct' notes but not quite there. And that'll be discordant. But that's subjective. And by the time these albums are released, I've heard that stuff so many times that it just sounds totally normal to me. I hear little musical jokes, I hear happy parts and sad parts, and I hear a lot of parts that don't seem to have any emotive content at all. It's not just uniformly ugly, just as Schoenberg's work is not intended to be uniformly ugly. His work does have that expressionist vibe, especially before he adopted the twelve-tone method. And the expressionistic stuff in my work, I think, was during that Romantic period. I was listening to a lot of late-Romantic stuff like Sibelius, Mahler, Brahms – who I just revere – and I think they're probably more of a reference point for what I was writing there than Hate Forest or anything. I went through my undergraduate career loving baroque music and earlier music, and the 20th-century vanguard, and basically being disgusted with everything in between – the classical and Romantic eras. But maybe a year after I graduated, I ran across this box set of Sibelius' symphonies in some thrift store somewhere, so I just bought it. And I was just awed. I'd heard Sibelius before, but I hadn't really heard it. I wasn't receptive to it then. So that stuff, which is very expressive, if not expressionistic, was a big influence. The lyrical or extramusical themes in the more Romantic stuff I was writing had a lot to do with countenancing the past, regret, remorse and mortality. And I think my views on that kind of thing have shifted over the years, over a lot of reading, to a point where I don't see identity in the same way. I see things in a more deterministic way, which makes emotions like remorse, regret and pride, and guilt, and shame unnecessary. And I hope that deterministic attitude comes through in the music. Absolutely. So could you talk more about how this deterministic outlook relates to the thinking on consciousness that's guided your last trilogy? On your Bandcamp, you've got this Thomas Metzinger quote about how consciousness emerges through the self-enslavement of the organism, which reminds me a lot of On the Genealogy of Morality. AK: That's spot on. I think that Nietzsche, with his perspectivism, leads to this breakdown of identity. He has a line, "People talk with great pride about the I, but they should instead notice the body that is performing the eye”, and that leads straight to stuff like performativity and constructivism with Judith Butler in Gender Trouble, which really impressed me. This idea that there is no persistent self, there are only actions, only events that occur. And that combined with other things I was reading about determinism. I was spurred by this tiny little Sam Harris book called Free Will, and I ended up reading Schopenhauer and eventually, by way of Ligotti's Conspiracy Against The Human Race – which I think is the best thing he ever wrote – I made my way to Metzinger. He's a neuroscientist and philosopher, and does this incredibly comprehensive obliteration of the concept of identity. He represents humans as organisms that sometimes operate while the brain produces a sense of self, but are perfectly capable of operating without any sense of self. The sense of self, and the whole world in which we exist, is constructed by a brain that is determined. In all of your lyrics, from Verstiegenheit to more recent records like the last two, there's this sense of crisis: breakdown of world-hood, loss of coherence, the possibility of things becoming meaningless or valueless. Do you see this as a necessary consequence of this breakdown of identity? And is this lingering note of nihilism something to be resisted or embraced? AK: It's a cosmic pessimism. I guess in metal, there's this kind of Nietzschean adversarial posture to things. Unpleasant things are presented, and there's this implicit sense that you're being challenged, like, "Can you handle this? Can you handle the cover of this goregrind album?” And that puts the music in a certain context of overcoming. I'm not… really willing to say where I fall on that, I suppose. It probably depends when you ask me. Definitely some albums are written in more optimistic moods than others. I see an adversarial structure, or a negative structure, in how you relate to some of your own influences. Even in Young Eagle, which is very black metal but positioned as a satire of certain black metal tropes, or the sense that you're still clearly involved with and influenced by Romanticism. On your new stuff, you're quoting from Keats and Hölderlin and all that, even as you're working on this radically impersonal, anti-Romantic world view. AK: I probably feel, and like to exploit, the autumnal nostalgia of Romanticism even when I feel like I'm leaving it behind. The overwhelming mood you get from Brahms probably lends itself to that atmosphere. Yes! Late Romanticism! Once Romanticism pushes itself to its logical conclusions, you end up with things like the breakdown of identity and a sense of life as constant loss. AK: In music, you can see a teleology with Romanticism leading to free atonality and then serialism – the breakdown of a tonal centre and a sense of stableness, rootedness. Instead, you move on to this atomised musical universe. That is, if you want to see a teleology in how music develops. Well, I think like a lot of modern art, there is a teleology because the people doing it were teleological thinkers. The Romantics invent organicism, invent dialectics and understand the development of their art in those terms. So a lot of modernist concerns, like the notion of artistic 'progress', come straight out of that. AK: In The Oxford History Of Western Music, Richard Taruskin argues that we never left Romanticism, that right now we're in very late Romanticism. So maybe I can use that line – pretend like I have some broad plan for my work. So we've been talking a lot about philosophy and art in general, but I'm also interested in your specifically literary influences. You mention novels and poems all over your album notes, and draw on them for titles and lyrics, so I'm most interested in the abiding influences. As I was listening, I was thinking, "I wonder if this guy is into Robinson Jeffers” and then I found a Jeffers reference in your notes. Oh yeah, you mentioned Ligotti, too. AK: Honestly, I think if you read Conspiracy Against The Human Race first, as I did, then all his actual fiction ends up reading like rough drafts for Conspiracy, and it loses a lot of his power. So I guess if you're gonna read Ligotti, read Conspiracy last. AK: It's a philosophical work. It's anti-natalist, negative utilitarian pessimism. Which is really appealing. AK: The negative utilitarian would believe that the goal is not to increase happiness, but to decrease suffering. And the anti-natalist response to that would be voluntary extinction of humans, or maybe the extinction of all life.